When the weather changes and winter is upon us it’s going to affect your property. There are certain external things you’re going to need to take care of before that happens. Have a look at the ideas on this list and try to implement as many of them as you can. 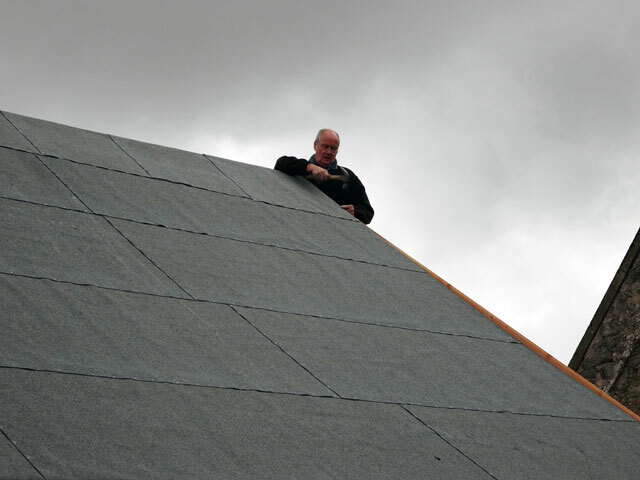 It’s essential that you check the roof in the build up to winter. This is what protects your home from the cold and wet. You need to make sure it’s all in full working order, and there are no leaks or repairs needed. The roof is an essential part of the building, so it’s imperative that you check it out. If there are problems you may want to get roofers in to make repairs. You need a strong and secure roof for the colder months of the year. Keep an eye on it, so you can act if anything happens. Your house is going to need a bit of tender loving care. The exterior will have taken a bit of a battering from the last winter. So painting it is a good way to prepare it for the impending winter. A fresh coat of paint makes the home fresher and brighter. It also helps to seal parts of it and gives it a protective layer against the elements. Get outside while the weather’s still nice and repaint the whole house. You’ll be surprised by the difference it will make. One area that a lot of people seem to forget about outside is the guttering. You need to get up on the roof and keep an eye on the guttering. Make sure the gutters stay unblocked and that the water flows as it should. There can be all sorts of problems with guttering in the winter. Fallen leaves can work their way into the gutters and block them up causing an overflow. You also need to be wary of water getting trapped and freezing. Make sure you pay close attention to the guttering in the build up to the winter, but also throughout too. The garden is going to need most of your time and attention. When it gets cold and wet, you’re not going to want to be out there. And the garden is going to take a battering when the winter weather arrives. So you need to take the opportunity now to make sure everything is in the right condition. This means having a look at the patio and decking. Make sure they don’t need any work or repairs, and if they do then do it! By doing any of this work now, you’ll have less to worry about when the Spring rolls around again. Overall you really just need to make sure the house is in good condition. Upkeep is an important part of it. You might think about hiring a tuckpointing contractor to clean and maintain your bricks. This will help them to last longer and get them in the right condition to last through the winter. You also need to check the windows and doors around the house. Make sure their seals work properly and that they all shut properly. It’s going to get cold, so you need to keep the heat inside the home. When the winter arrives, the weather will become cold and damp. It’s not going to be good weather for being outside and doing work. But there are certain things you need to get sorted before the winter hits. This means you’ve got to get outside now and start doing any work that needs doing.